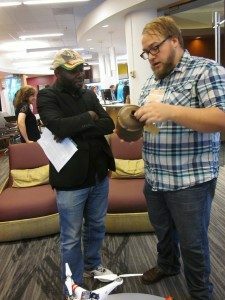 CURVE is officially open as of Wednesday, September 10th! 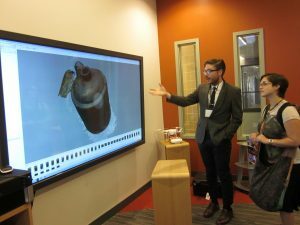 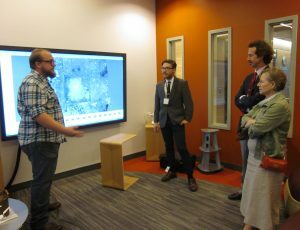 Here are a few images from the 4K workstation where we were showing off 3D Visualizations in Archaeology for the attendees. Here I am showing off an artifact to an attendee. 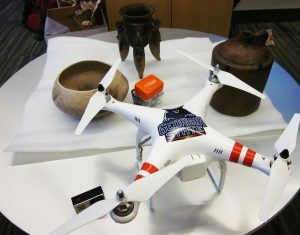 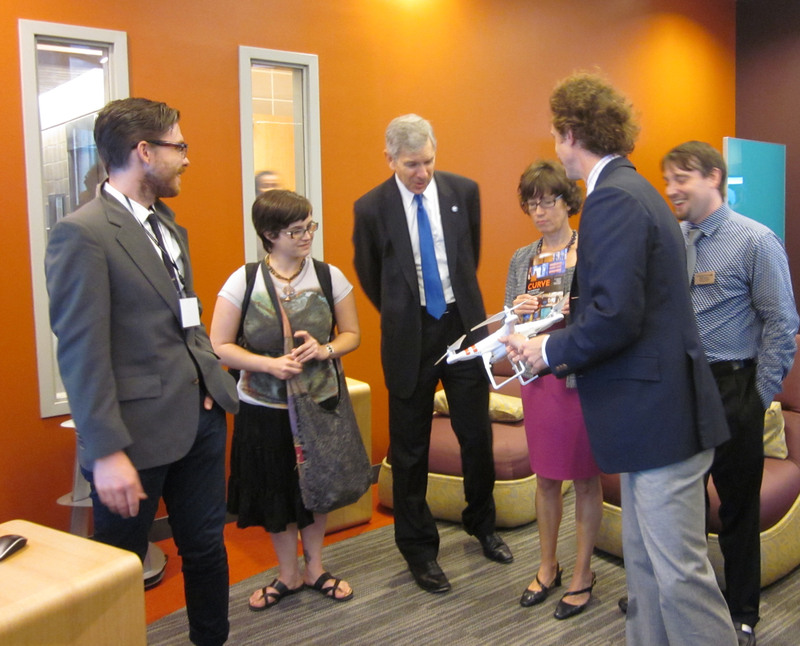 Dr Becker checks out the GSU Anthropology Quadcopter. 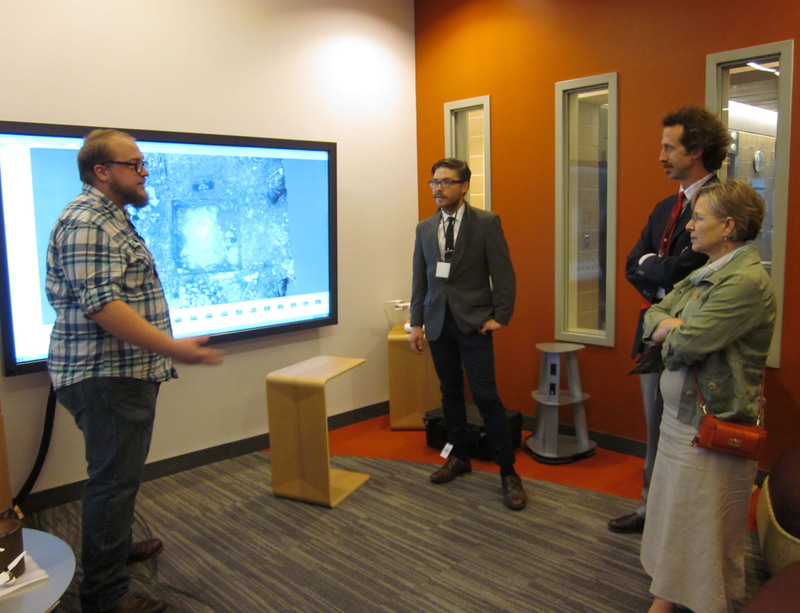 Robert, Dr. Glover and I showing off research to Dr. K, the Anthropology Chair. 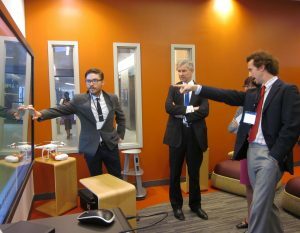 Robert Bryant and Dr. Glover giving GSU President Dr. Becker a lesson in Digital Archaeology. 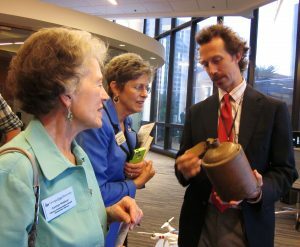 Dr. Jeffrey Glover Showing an Artifact to attendees. 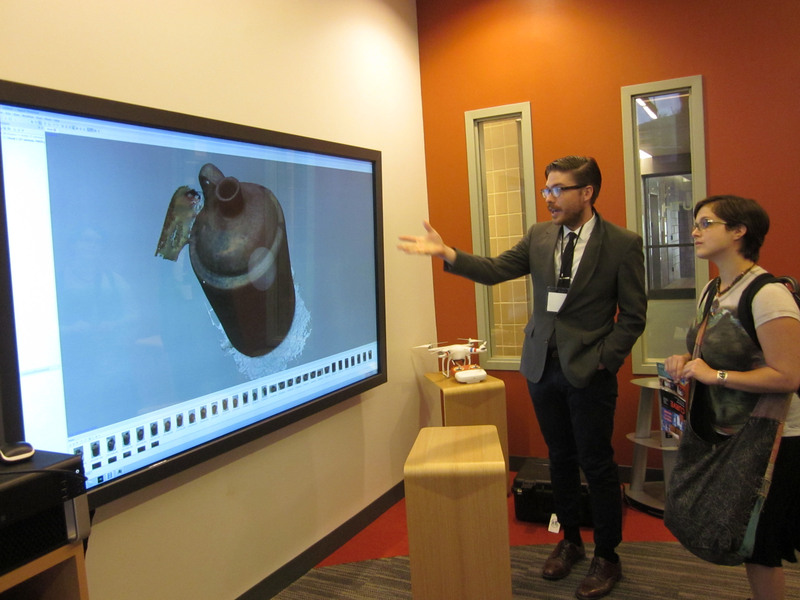 Robert Bryant demonstrating 3D artifact modeling.